Detect. Deter. Disrupt. Introducing the latest innovative products from IndigoVision! 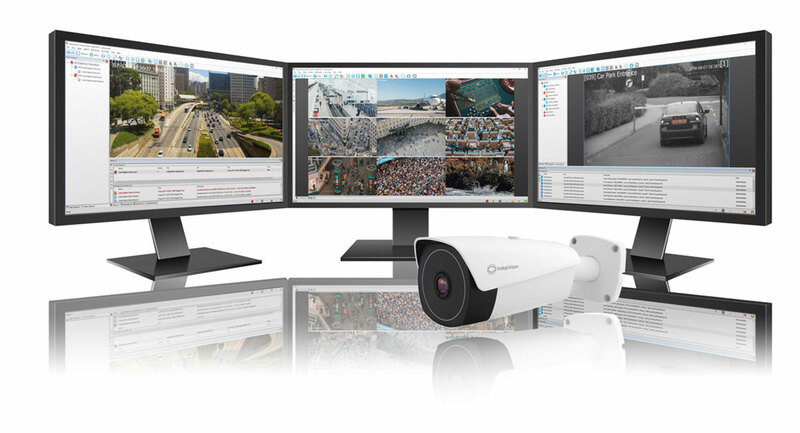 IndigoVision released new products during GSX 2018 and Security Essen 2018 that allows customers to further enhance their security solution! Control Center v15.3: The latest version of our tiered Security Management Solution, Control Center v15.3, will help to enhance your security system with exciting improvements to the CyberVigilant® device (including Alarm Collapsing features), Reorder Storyboard Clips and the introduction of the Federated License Server. Making it easier now than ever to stay bulletproof. License Plate Recognition Technology powered by InnoWare: Ideal for stop and go applications, such as parking lot access where cards or money are required to enter and exit. This technology can also be used for free-flowing traffic at speeds of up to 200km per hour. LPR powered by InnoWare is fully integrated into Control Center, IndigoVision’s Security Management Solution. BX Thermal Bullet Camera: This updated variant delivers a different dimension of safety. The BX Thermal Bullet includes a higher frame rate of 30fps, a new sensor update, audio input & output, fire detection analytics and CyberVigilant® in Camera, making it the perfect solution for dark, long-range monitoring applications. Trusted in more than 15,000 installations, IndigoVision gives you the right solution, experience, technology, and support to provide you with innovation that makes you safe. To find out more about these fantastic products and the rest of our end-to-end security solution contact us now or arrange a meeting with an IndigoVision expert.